Both Boys and Female Teams had a great two days at the Last Chance Invitational in Birmingham, Alabama. The Girls finished 2nd overall as a Team and the Boys Team finished 1st place in the 1A-5A Division. 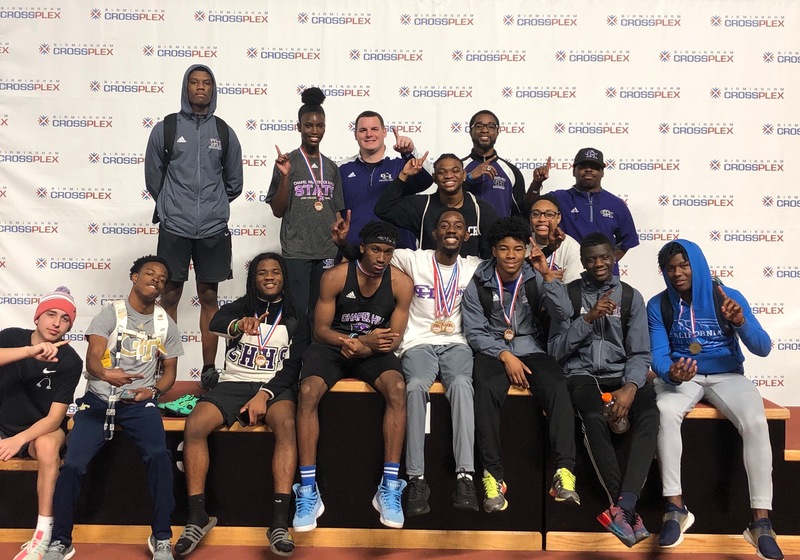 There were a total of 8 Indoor Track Chapel Hill High School Records broken this weekend. The top performances of the day for the Panthers were Junior sprinter Shawn Langley and Sophmore Girl Thrower Kassidy Amerson-Fox. Langley's sprint of 50.59 placed him first in the 400 meter dash and also a School Record. Amerson-Fox placed 1st in the Shot Put with a throw of 39 feet and 3 inches which is also a school record. The girls team was led by the lady throwers of Chapel Hill. In the shot put Kassidy Amerson-Fox placed 1st with a throw of 39 feet and 3 Inches (School Record), Isis Taylor placed 3rd, and Jailyn Kendrick placed 4th. In the running events Ilene Soleyn placed 2nd in the 800 meter run as well as 3rd place in the 400 meter dash In the relays, the 4x200 meter relay team of (Joy Scott, Kimora Cook, Tanasia Harris, Ilene Soleyn) placed 5th and lastly the 4x400 meter relay team of (Joy Scott, Kimora Cook, Zaria White, Ilene Soleyn) placed 2nd. Ashley Hammond also set the school record in the 1600 and 3200 meter run. The boys team had a fantastic day in the spriting and jumping events. In the Triple Jump, Jayden Braxton jumped 41 feet and 9 inches and broke his own school record and placed second in the triple jump. Elijah Brown also placed 5th with a jump of 38 feet and 9 inches. In the Long Jump, Jamonte Mason placed 4th and Khari Edmondson placed 5th in the High Jump. In the relays both relay teams set school records. The 4x200 meter relay team of Shawn Langley, Keyshawn Buckley, Jaylen Slade, and Jayden Braxton placed 1st with a time of 1:31. The 4x400 meter relay of Prince Williams, Troy Barmore, Jayden Braxton, Shawn Langley placed 1st with a time of 3:34. In the sprinting events Shawn Langley set the school record in the 400 meter dash with a time of 50.59. In the 60 meter dash Keyshawn Buckley placed 4th and Jaylen Slade placed 2nd with a time of 6.99 and broke the school record. Slade is currently ranked #1 in the United State for the Freshman class of 2022.